NGO Monitor’s research shows that Norwegian, Israeli, and Palestinian NGOs lobbied the Norwegian Council on Ethics and GPFG to impose this ban, as part of the Durban strategy of demonizing Israel in order to isolate it internationally. Furthermore, the Norwegian government has provided significant funding for these NGOs. This is the second time GPFG has excluded AFI Ltd and Danya Cebus Ltd as a result of NGO lobbying. GPFG removed AFI and Danya Cebus Ltd from its investment fund in 2010, following NGO pressure. In August 2013, this decision was rescinded, as recommended by the Council of Ethics and the Ministry of Finance, because “information has been provided stating that neither Africa Israel Investments…nor any of its subsidiaries are involved in the construction of settlements in the West Bank anymore.” NGOs then intensively lobbied the Norwegian government to overturn the reversal. Norwegian, Israeli, and Palestinian NGOs had a direct influence on GPFG’s January 2014 decision: Norwegian People’s Aid; Civic Coalition for Palestinian Rights in Jerusalem (CCPRJ); Coalition of Women for Peace (CWP – via Who Profits); and the Norwegian YMCA-YWCA all lobbied the Norwegian pension fund. These NGOs also receive Norwegian government funding. The Norwegian-funded NGOs were joined by radical partner organizations and trade unions, including the Palestinian BDS National Committee, Adalah-NY, The Palestinian Anti-Apartheid Wall Campaign, Norwegian Union of Municipal and General Employees, and Mattin Group. NPA, working closely with the Norwegian Union of Municipal and General Employees, produced a report, “Dangerous Liaisons” in May 2012, which was cited as a central resource for the GPFG campaign, as well as other Norwegian BDS efforts. The publication alleged that Norwegian companies, through financial investments in Israel, are participating in international law and human rights abuses. In its 2012 annual report, NPA cites “Dangerous Liaisons” under its “important results” section, including its lobbying to stop the sale of Ahava products in Norway. In 2012, NPA spent NOK 8 million on “Information work in Norway.” NPA also maintains a “long-term agreement with the Norwegian Union of Municipal and General Employees [which] aims to ensure cooperation on collective political lobbying, activities for involving members of the association in international solidarity and international project funding. Two meetings of ambassadors have been held over the year, as well as two project trips to Gaza/the West Bank and Lebanon.” The “ambassador” program and project trips were utilized to further NUMGE’s BDS efforts. NUMGE partners with other NGOs that participate in divestment lobbying and political warfare, including The Palestine Committee of Norway and Scottish Palestine Solidarity Campaign. CWP and Who Profits, a “sister” project founded by CWP, played a central role in lobbying the Norwegian Fund. CWP was initially involved in the 2009 appeal to Norwegian Council on Ethics and GPFG against AFI. NGO Monitor reports have highlighted CWP’s radical anti-Israel agenda. 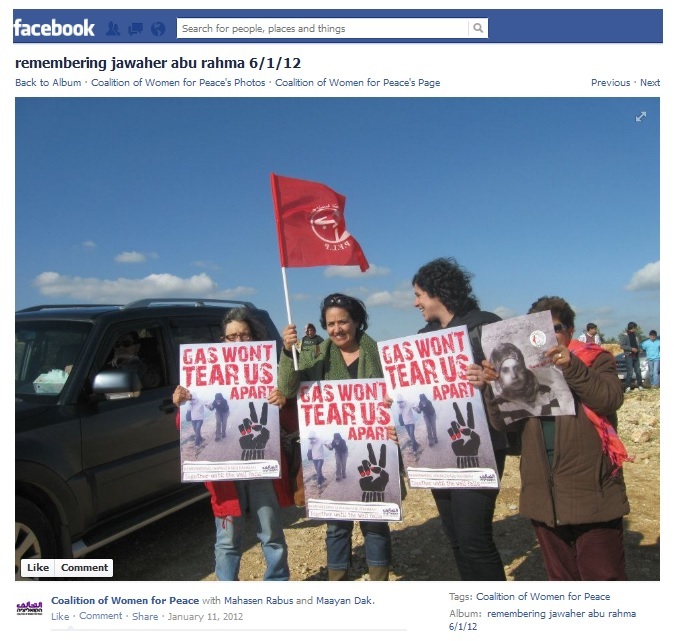 For instance, research shows that CWP officials have been photographed holding a flag of the Popular Front for the Liberation of Palestine – an EU-recognized terrorist organization responsible for numerous attacks against civilians. CCPRJ’s website refers to the Representative Office of Norway to the Palestinian Authority as the “funder”; no amounts or other funding information are provided. In correspondence with NGO Monitor, the Norwegian government stated that it granted CCPRJ $77,000 in 2012 (via Arab Thought Forum) and approximately $43,000 in 2013. In September 2013, CCPRJ signed a protest letter to the Norwegian Council on Ethics as part of an “educational and advocacy campaign” on the GPFG reversal, along with The Palestinian BDS National Committee, Adalah-NY, and The Palestinian Anti-Apartheid Wall Campaign. CCPRJ has partnered with NPA on multiple boycott initiatives and published the “Dangerous Liaison” report on its website. CCPRJ claims “to combat human rights abuses under the Israeli occupation through research and legal analysis, advocacy and human rights education.” However, the group regularly undermines peace and promotes false allegations against Israel through inaccurate reports and appeals to influential international organizations and officials. YWCA-YWCA’s global branch provides organizational lobbying resources to encourage boycotts of Israel.